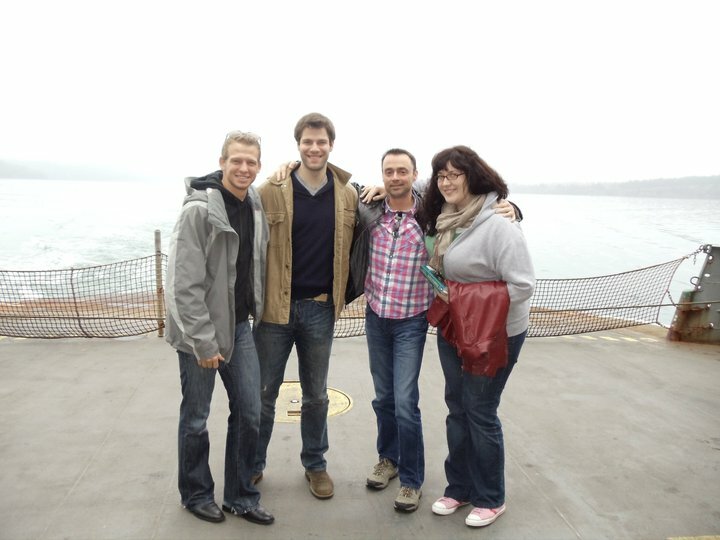 Last week we shared some photos from baritone David Krohn, who is currently on tour with the Young Artists Program, performing Donizetti's comic opera Viva la Mamma! in communities around the state. 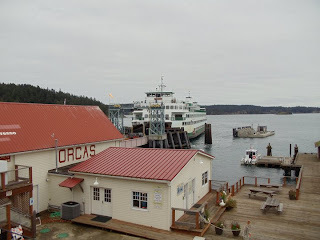 This past weekend, the Young Artists headed to the San Juan Islands for shows in Eastsound and Friday Harbor, and David was once again busy snapping photos of the trip. 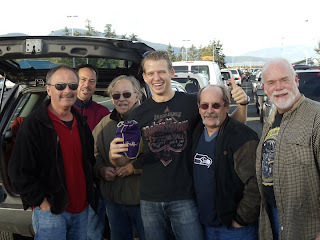 Check out some of his pictures below, and see the YAP live and in-person this week at Viva performances in Walla Walla and Seattle. 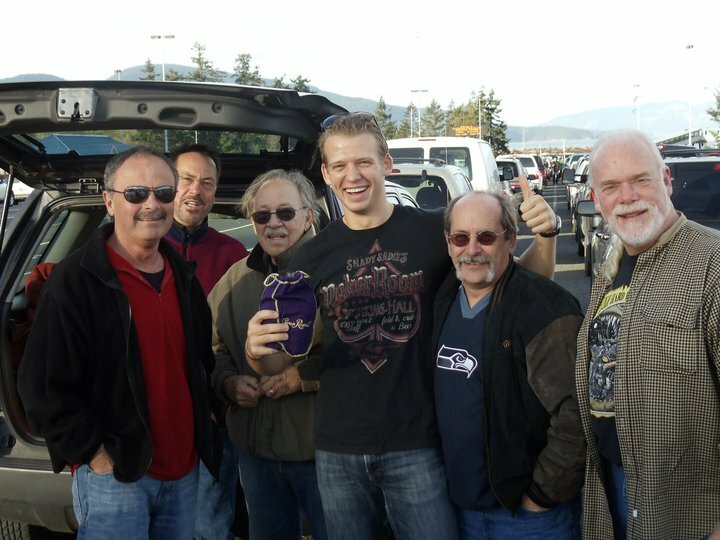 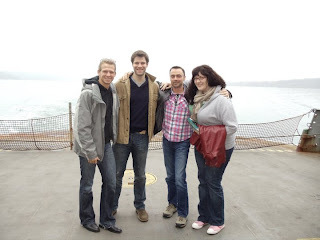 David Krohn, center, makes new friends while waiting in line for the car ferry to Orcas Island. 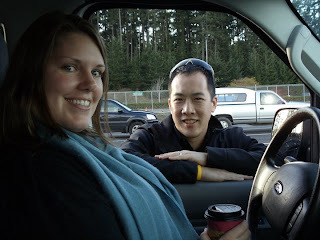 Seattle Opera's Education Events Manager, Justina Schwartz, and Coach/Accompanist Kelly Kuo. 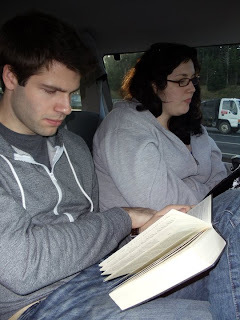 Erik Anstine and Marcy Stonikas chill out with books while waiting for the ferry. 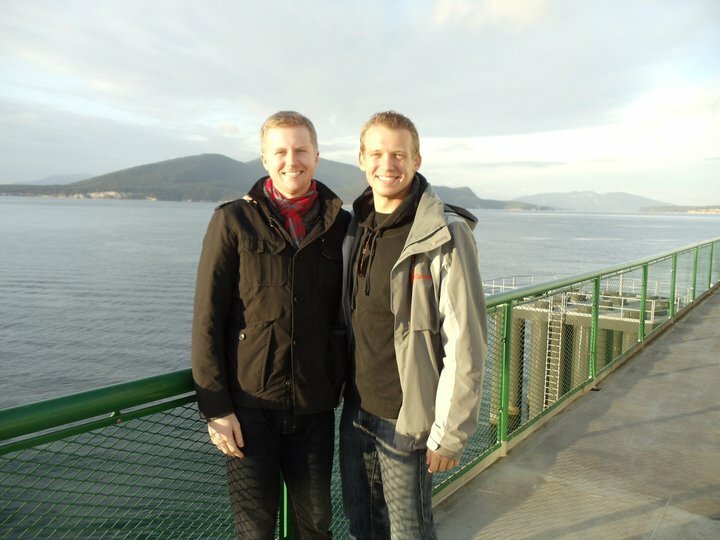 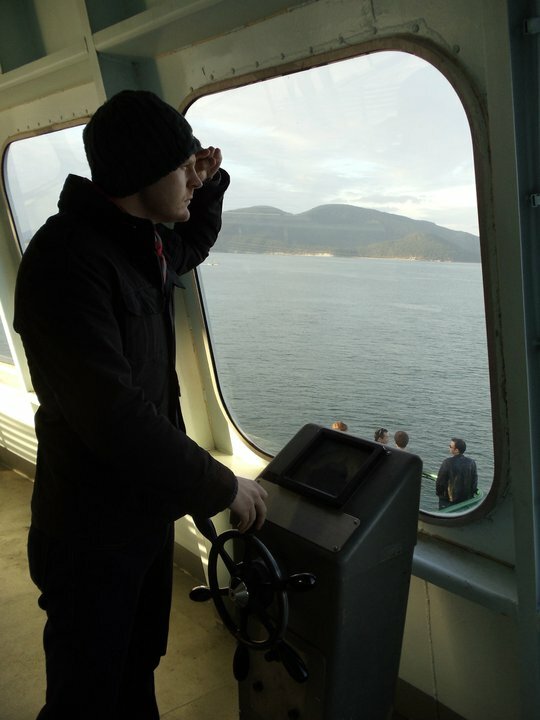 Eric Neuville and David Krohn enjoy the ferry ride to Orcas Island. Adrian Rosas, Joseph Beutel, Marcy Stonikas, Kelly Kuo, Erik Anstine, and YAP Music Director Brian Garman take in the crisp sea air. 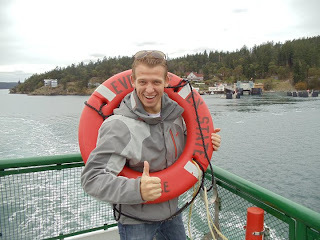 ...and his Billy Budd (David Krohn). Breakfast at the Orcas Hotel before heading to San Juan Island. 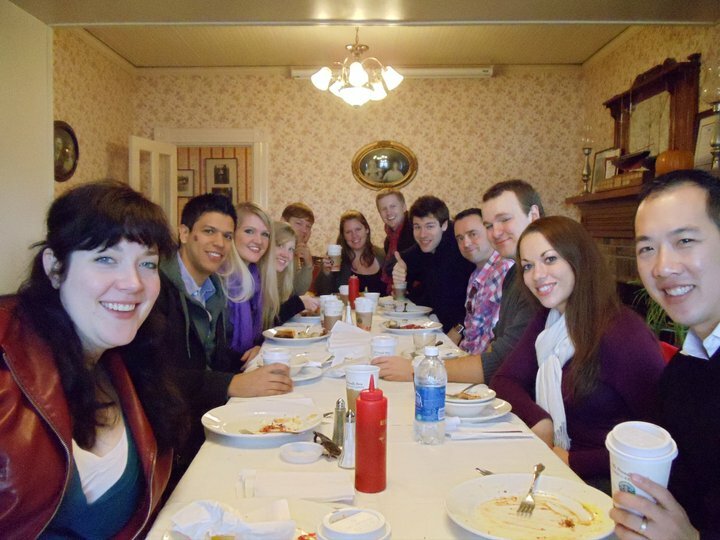 From left to right: Marcy Stonikas, Adrian Rosas, Lindsey Anderson, Jessilee Marander, Joseph Beutel, Justina Schwartz, Eric Neuville, Erik Anstine, Brian Garman, Daniel Scofield, Amanda Opuszynski, and Kelly Kuo. Leaving Orcas Island for San Juan Island. 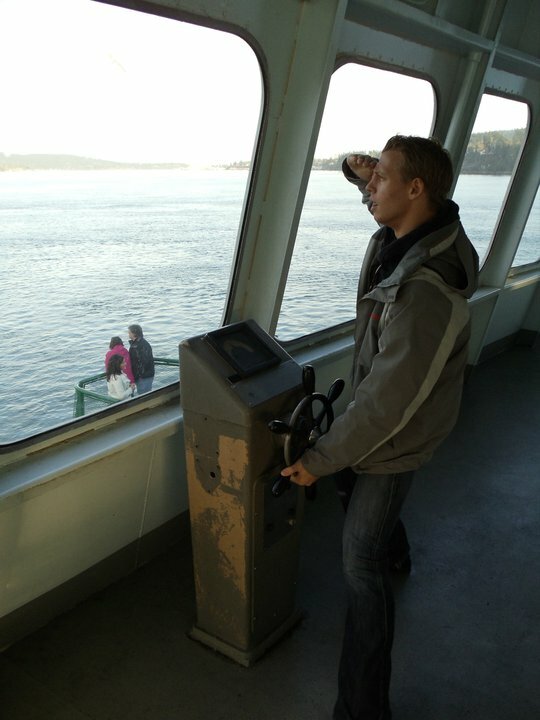 Erik Anstine thinks of a bowling name for a game in Friday Harbor. Marcy Stonikas and Brian Garman. 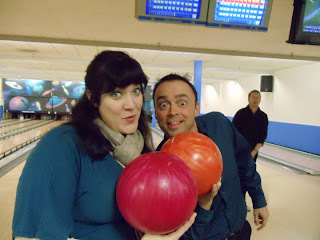 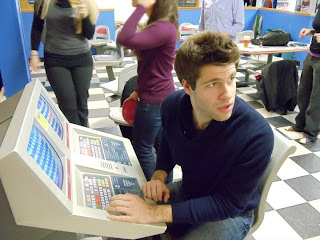 It turns out that great musicians aren't necessarily great bowlers. 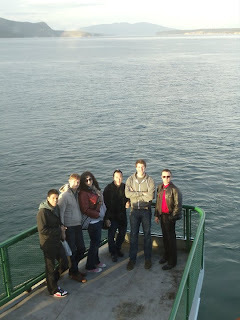 Heading back to the mainland after two great performances of Viva la Mamma!. 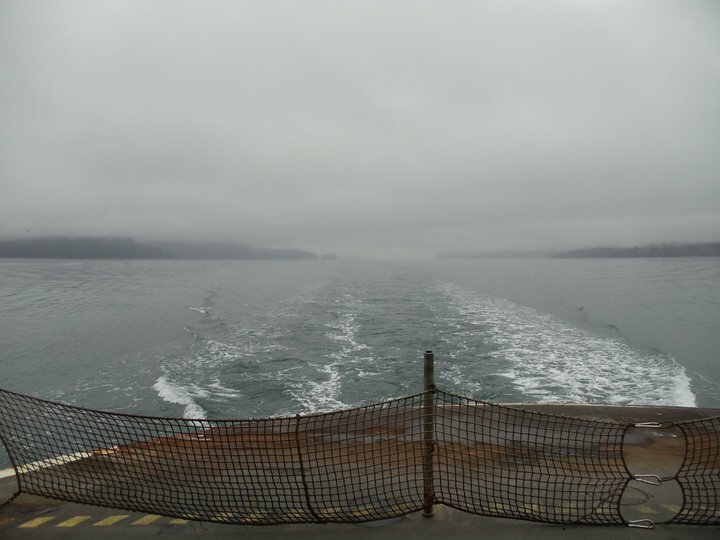 Goodbye, beautiful San Juan Islands!